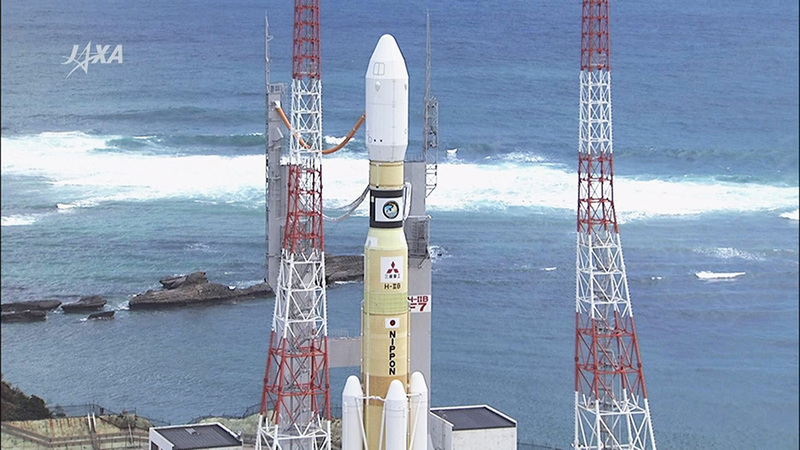 The Japan Aerospace Exploration Agency (JAXA) is scheduled to launch a cargo spacecraft from the Tanegashima Space Center in southern Japan today at 4:59 p.m. EDT (5:59 a.m. Sept. 15 Japan standard time). Live coverage of the launch will begin at 4:30 p.m. on NASA Television and the agency’s website. The unpiloted H-II Transfer Vehicle-7 (HTV-7) is loaded with more than five tons of supplies, water, spare parts and experiments for the crew aboard the International Space Station. The spacecraft also is carrying a half dozen new lithium-ion batteries to continue upgrades to the station’s power system. The launch vehicle will send the HTV-7 into orbit on a four-day rendezvous for an arrival at the orbiting laboratory on Tuesday, Sept. 18.